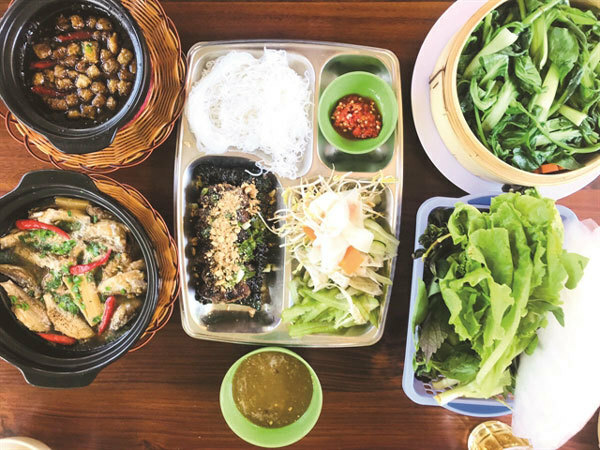 Situated on the border of Vietnam and Cambodia, An Giang is most famous for Chau Doc City, which is home to one of the busiest markets in the country. Not many travellers have set foot in Cho Moi District, 50km from Chau Doc, though the district is well worth discovering. Take National Highway 91 from the city, leaving the beautiful Tinh Bien and Tri Ton Districts behind after exploring their sacred temples and beautiful lakes. Visitors are recommended to visit Ong Chuong Island where they can see the lifestyle of a river region. First and foremost, remember to ask locals how to get there rather than tracking it on the map. Most Cho Moi locals make a living from fishing and its starting to attract tourists who want to experience local life. A trip to the Mekong Delta is not complete without a trip on the ghe (a narrow boat) along the river. Stilts houses stand tall by the river to withstand the regular floods. Ferries carry people, vehicles and food. Small floating markets here can make you forget dry land. On a floating boat, you can ask a local family to make you lau mam (salted fish hotpot) and thit chuot nuong (grilled mice). Lau mam is made from salted fish (mud carp and snakeskin gourami fish) cooked with coconut water or broth. A lot of things are added, i.e. shrimp, squid, and special greens and herbs (bitter veggies, bean sprout, eggplant, lemongrass, etc…). Mice here damage coconut trees and rice fields, so locals in return enjoy eating them. There are many ways to cook mice: grilling, steaming, deep frying or making a curry. I love the grilled one best. For many people, it’s scary to eat this small animal. But if you dare, it’s a big deal!. Cho Moi District is famous for its religious sites. Tay An Pagoda, where the Buu Son Ky Huong religion, originally practiced by the mystic Doan Minh Huyen (1807–1856), is an important site. The walls are nicely decorated with thousands of porcelain pieces, creating a beautiful effect in the sun. Local people often come to wish for happiness and peacefulness while tourists take pictures. 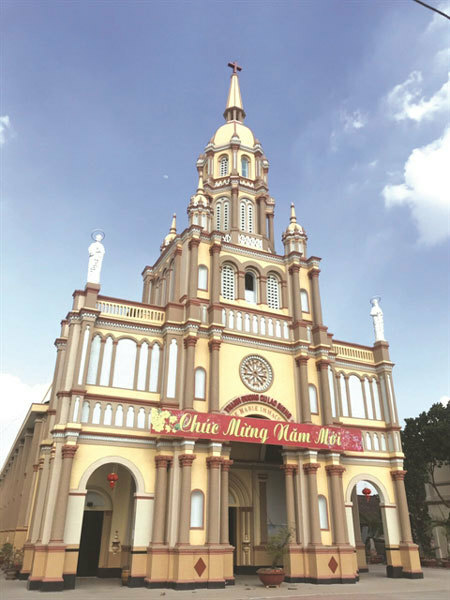 Cho Moi District is known as the centre of Christianity in the South. You can find the earliest Christian church in old Cochinchina. It was designed and built in a French style. Most of the original construction materials were brought from France. After a day of viewing life and religious sites in Cho Moi, it's hard to leave without discovering more of the hidden beauty of this region.